Integrate multiple everyday tasks at once to make your life easier. Smart homes are everyday-houses installed with communicating technology that have controls accessible via internet-enabled computers, smartphones or tablets. They allow you to monitor temperatures and manage energy use for optimal efficiency and comfort. Some systems even connect to security features like locks, lights and cameras. Keep your home safe, secure and comfortable – even when you’re not there. Make your home feel safe by controlling the lights from wherever you are. Improve your home security by remotely locking and unlocking your doors. Control the indoor temperature and air quality. Schedule settings when you’re out of town. Use the front door camera to check for packages at the door. Set up text alerts to know when your children get home. A Nexia smart home system can take your home’s comfort and efficiency to a whole new level. Nexia helps you connect to your home from an all-in-one app. You can purchase a Nexia Bridge to manage all of your smart home devices. Nexia is compatible with Trane heating and cooling products, Schlage locks and other brands. 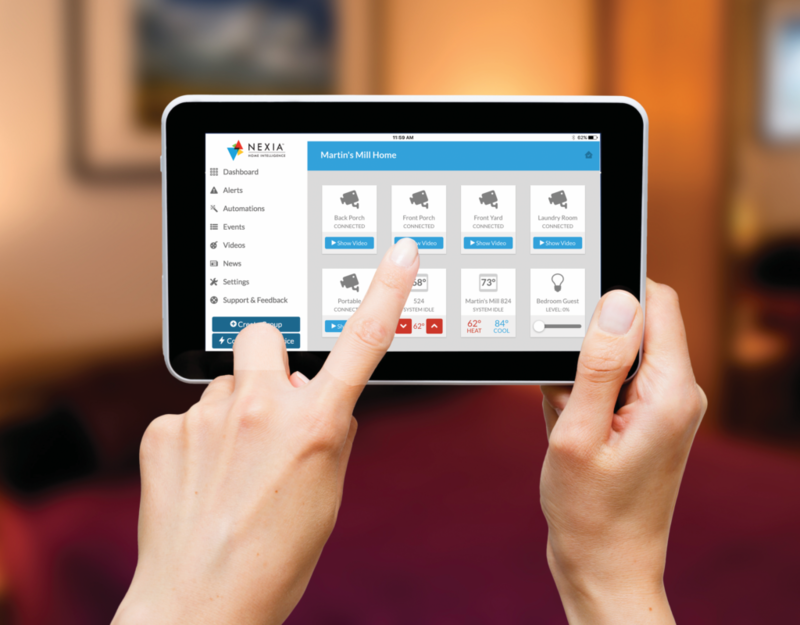 Installing Nexia could be right for you if you’re looking for an app that controls more than 400 smart home products including security cameras, water leak sensors, thermostats, remote control lighting and more. Popular Mechanics dubbed the Trane ComfortLink™ II one of “The Year’s Most Transformative Products,” awarding it their 2010 Breakthrough Award. The Trane ComfortLink™ II thermostat control is an innovative and intuitive touch-screen control that is compatible with Trane products, as well as any other brand of standard central heating and air conditioning systems. The ComfortLink™ II is a digital, wireless thermostat that can gather and display live weather data. It has the ability to communicate with other specific Trane heating and cooling products to ensure your home’s energy use is at peak efficiency. Additionally, its multi-system controls allow you to adjust the temperature in different rooms and floors from different locations. There are so many ways a smart home can make your life easier, such as accessibility, energy efficiency, convenience and peace of mind. Find the smart home system that’s right for you.